Hey Mom, You've Got Help! Are you tired of throwing Saturday, clean-your-room fits? Are you sick of constantly nagging? Wish your children would help with chores? The House Fairy helps moms replace stress and friction with joy and peace. 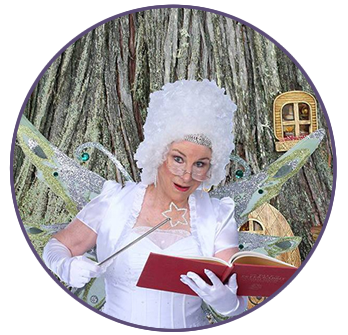 The House Fairy video-based programs will teach and inspire your children to clean their rooms and eagerly help with household chores as well as learn good manners. When the House Fairy speaks, children listen. Membership is good forever. There are no dues or monthly fees, just a one-time price per family, not per child. Have your kids (ages three to ten) take a short House Fairy test. Most children run to their rooms to put away five things, just because the House Fairy told them to do it. You’ll know right away if the House Fairy will work for you. Register now to have your kids take the test. You will be mesmerized by our Hall of Clean Rooms! Kids love the House Fairy, and parents do too! More than 20,000 families celebrate the day they invited the House Fairy into their homes. House Fairy here:I think one of the reasons children want to cooperate with me is because they go into what I call Clean for Company mode. Their precious imaginations kick into gear and suddenly they find delight in the mundane. The thought of the House Fairy coming is exciting to children. Just like if you thought Matt Damon was coming over to inspect your room!